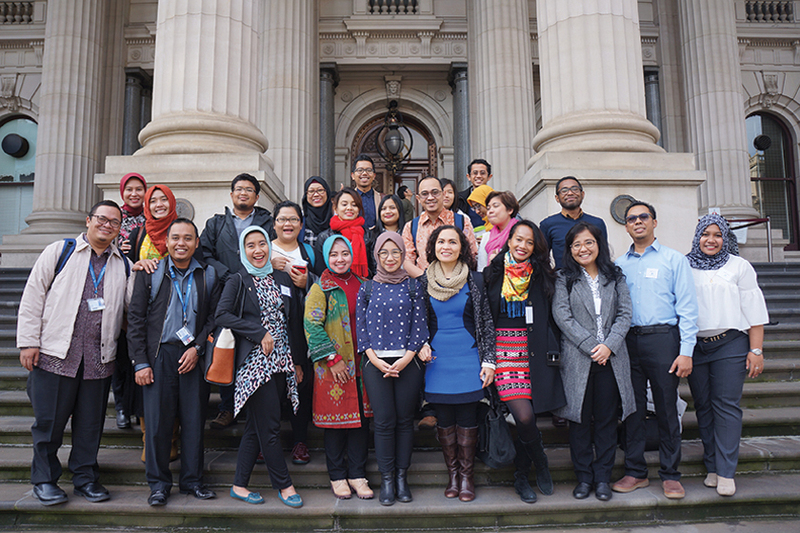 Following the success of the pilot Indonesian Language Learning Ambassadors (ILLA) program in 2017, Australia Awards Indonesia (AAI) in partnership with Asia Education Foundation (AEF) are pleased to be offering the ILLA program again in Term 3, 2018. AEF provides schools with interactive student programs, international school partnerships, teacher professional learning, curriculum resources, research and networks to educate a generation of globally-ready young Australians. Programs focus on students, teachers, school leaders and school communities. AEF’s goal is to develop a global mindset and skill set for Australians that includes intercultural understanding, language learning and an understanding of Australia’s place in the world and the region. ILLA will connect participating schools with AAI awardees currently studying in leading universities across Australia. This program will provide AAI awardees with an opportunity to directly engage with Australian schools to learn first-hand about Australian culture, community and classroom teaching practices. Australian schools engaged in the program will improve students' knowledge and understanding of Indonesia through authentic learning experiences with an Ambassador. Selected Ambassadors engage with their matched schools assisting teachers with, but not restricted to, the delivery of Indonesian language and culture classes. At the conclusion of the program, Australian schools are asked to submit a brief report outlining the program outcomes. For the partner schools, ILLA offers a simple and effective way to advance students' Indonesian language skills. In addition, with their comprehensive professional background Ambassadors add a burst of energy to the classroom providing students with lively anecdotes about life in Indonesia and explaining the benefits of being a global citizen. For the ILLA Ambassadors an exciting opportunity is provided to gain real-life experience in an Australian classroom and to work alongside experienced Australian educators. Both the professional and personal experience will provide volunteers with invaluable insight and memories that will last a lifetime. Download an ILLA brochure here.